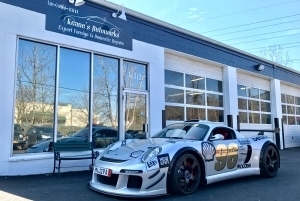 As an experienced auto repair shop we’ve had the pleasure of working on nearly every type of car, ranging from high end exotics and European imports to classic American muscle. You can trust that no matter what you’re driving we’ve probably repaired one. The best part – all car maintenance and auto repair from Keane’s is warranty-safe, that means it will not void your dealer warranty! In order to maintain a high standard of service, Keane’s seeks out the most competent mechanics who have had considerable auto repair experience, advanced technical training, degrees from technical colleges and ASE Certification. Our auto repair experts are experienced with nearly every make and model vehicle include a Certified BMW Master Technician with advanced certification on all M models, a certified Toyota Hybrid Technician, and an Audi 6 and 8 certified technician. When we opened Keane’s we wanted to be able to service both the everyday vehicles and the high-end brands and luxury models. With that in mind, we stocked our garages with all state of the art diagnostic and auto repair tools. We use all of the same warrantied parts as the dealership service centers so you can be sure that every new part in your car was made specifically for it – not a cheap “one size fits all” part. Here’s a short list of some of our most popular auto repair services. If you’re looking for a custom job, try our contact page to get in touch with one of our experts who will answer your questions right away.